New banner featuring former Durham Miners’ Association General Secretaries Dave Hopper and Dave Guy. Photo courtesy of Durham Miners’ Association. 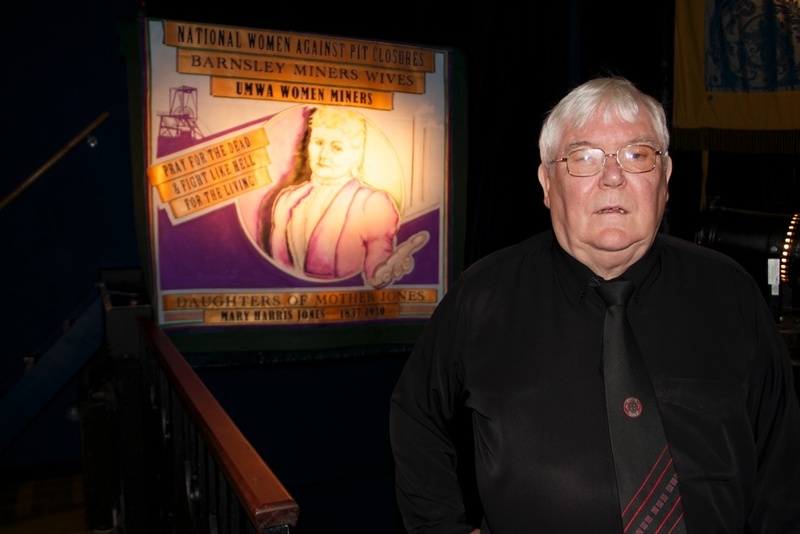 For a number of years there has been a close relationship between the Cork Mother Jones Festival and the Durham Miners Association. We were delighted to be visited by a delegation from the DMA, led by their late General Secretary, Davy Hopper, on a number of occasions. Sadly Davy passed away suddenly in July 2016, just weeks before he was due to return to Cork for last year’s Spirit of Mother Jones Festival. Dave played a key role in revitalising the Durham Miners’ Gala which has been taking place annually in the North of England town since 1871. 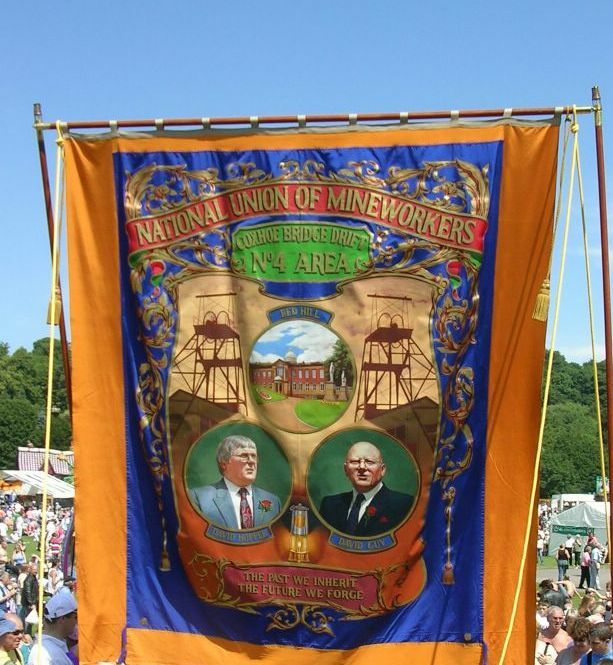 The Annual Durham Miners’ Gala 2017 will take place on Saturday 8th July. In addition to the colourful parade of miners’ banners through Durham and the Big Meeting and other ceremonies, the Gala will also feature a weekend music festival with bands and artists. Dave Hopper (1943-2016) with the Mother Jones banner at the 2014 Spirit of Mother Jones Festival in Cork.